Bicentennial Barn Project Traveling Tour Up-date! The 2016 Bicentennial Barn Project Traveling Tour began this past May. 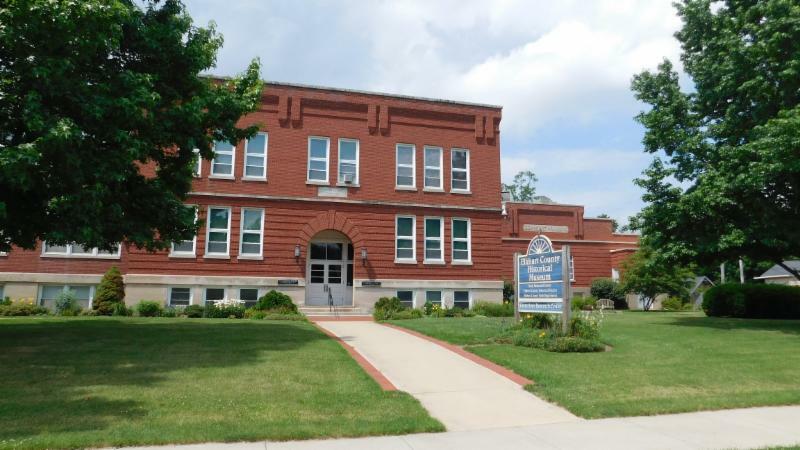 The top ten were on exhibit in the Jefferson County Historical Museum in Madison, IN. from May to June 30th. Many visitors were delighted to see the barns! The traveling tour is currently in Bristol, IN at the Elkhart County Historical Museum. This exhibit will close at the end of September. If you are in the area please come!! 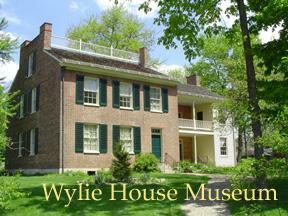 October 2 thru November 13, we will be in Bloomington, IN at the Wylie House Museum. We may be part of the Monroe County Barn Tour. Beginning Dec 4, the top ten will be at Butler University Arts Center in Indianapolis, IN. There we will have an open tour for the public at the Clowes Gallery on December 4. Please come!! The tour ends January 27, 2018. Will keep you posted!! Also looking for new venues for 2018!! If you visit any of the above venues and send a personalized photo in front of the exhibit we will give you FREE SHIPPING ( IN only orders ) on your next order. This offer may be transferred to a friend!! A great deal!! Traveling Tour of the top ten will be on exhibit from July 2 - Sept. 28, 2016. Those near Bristol, IN may see the free exhibit! . Take a photo for the free shipping offer!! 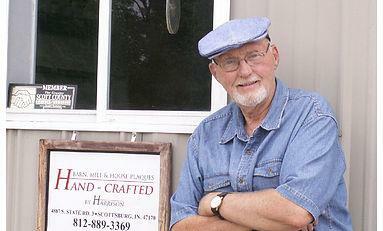 The top ten Bicentennial Barn Project Winners will be in Bloomington, IN. from Oct 2 thru Nov. 13. Come visit the free exhibit celebrating IN barn heritage. Visit them on face book. We start with a photo and make a template. We carefully work to accentuate the details - windows, roof! We carefully match the colors and are ready to move on to the next phase. 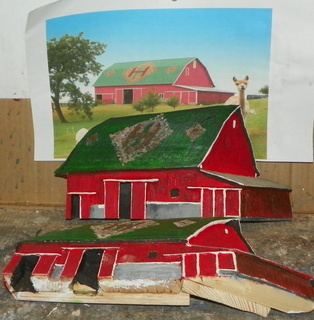 After painting the sky and season we then are ready to mount he barn on it's base and fit the pieces together like a puzzle! We do not forget the black bird in the sky to remind us of the road kill in life! Good and bad are always present but it's best to be reminded of the GOOD! 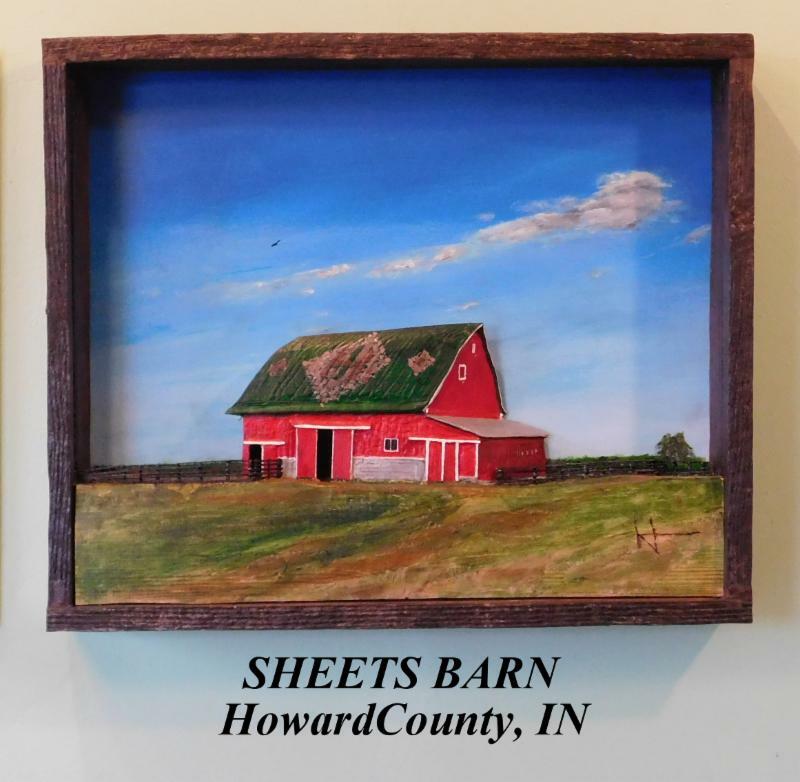 We are excited about the traveling barn tour and look forward to the reaction of visitors at the art venues.We are having a busy summer and are considering another state wide barn contest in 2018 that will help keep IN barn heritage alive! I appreciate your feedback and value you as a customer. Consider using the free shipping offer ( IN only ) - share with a friend!